The San Diego County District Attorney’s Office warned Wednesday that phishing scams in which online shoppers are sent emails from seemingly legitimate businesses asking for financial information usually rise over the holiday season. 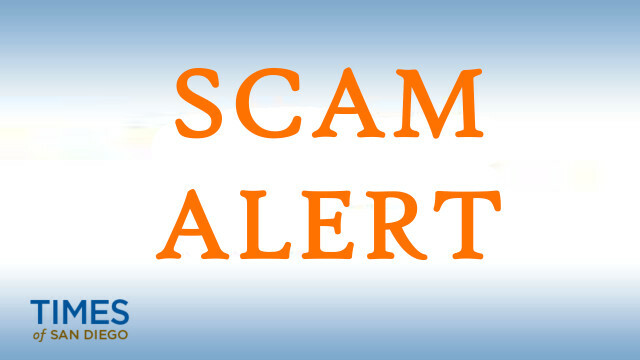 In some of the more common scams, purported Amazon or PayPal employees tell customers via email affixed with the company’s logo that there is a problem processing their order or their accounts have been limited due to excessive login attempts. The victim is then asked to resubmit personal and payment information, according to the District Attorney’s Office. Holiday shoppers can help protect themselves from scammers by using the same credit card for all online purchases, not following links from unsolicited emails, verifying that online retailers have an SSL certificate, updating their anti-virus protection and staying off public computers and open Wi-Fi networks. The District Attorney’s Office also warned against making purchases from sellers asking for payment in the form of a wire transfer or prepaid debit card.